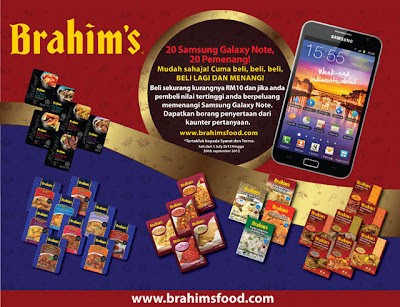 Purchase any Brahim's product in not less than RM10. Mail the contest form with attached the original receipt as proof of purchase. Winner will announce on 22 October 2012. Visit Brahim's website for more details. Sign up for this contest and you could win a MacBook Pro with Retina display!